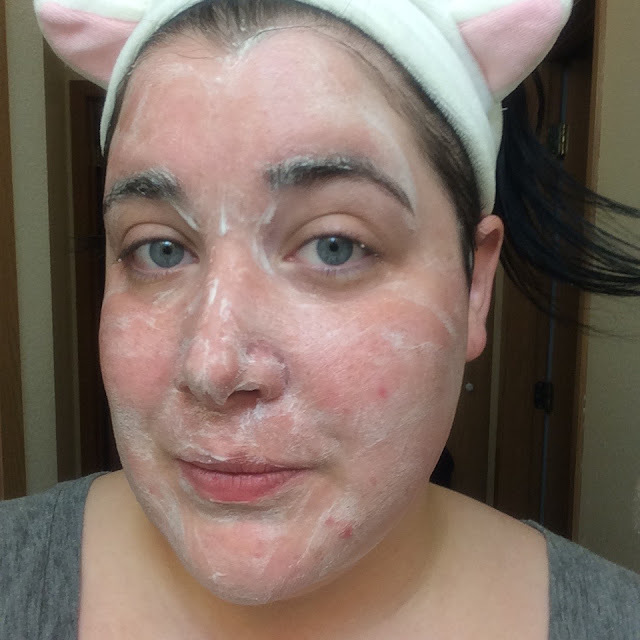 I love bubble masks because they're a great way to deep clean your skin without the mess and drying of clay masks. They're also pretty fun to use when they bubble up on your face. 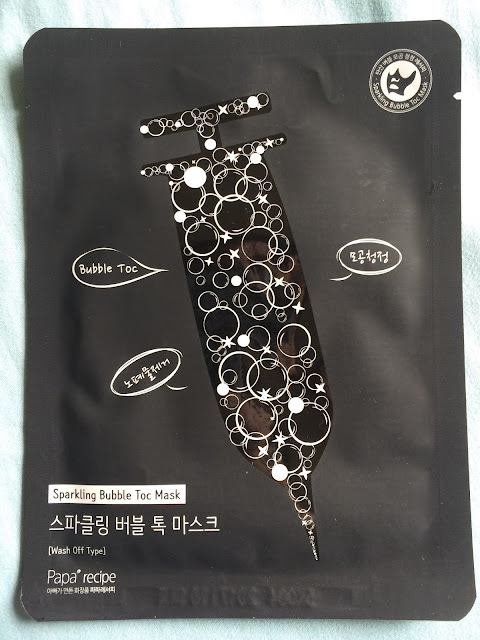 I've only tried a few different brands of bubbling masks, but when I saw this mask at Memebox I knew I needed to try it. 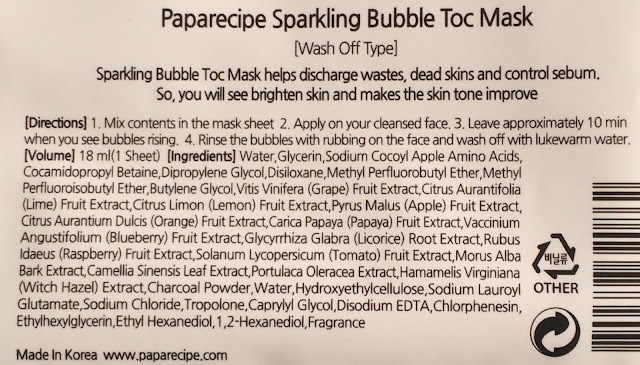 The Papa Recipe Sparkling Bubble Toc Mask is a sheet mask, but you wash off the essence after you remove the mask. 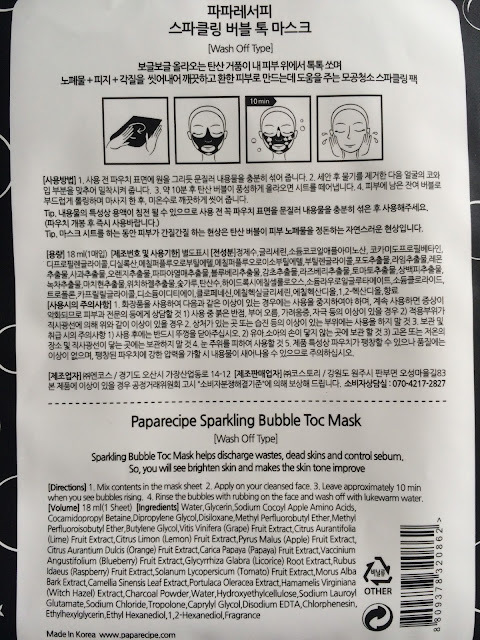 As I mentioned above, this masks' essence bubbles up when it comes into contact with oxygen, which allows it to penetrate further and deep clean your pores. Not only is the essence carbonated, but it also contains fruit-based AHA like papaya to gently exfoliate the skin and allow dead skin to loosen up and be washed away. This mask also contains licorice root extract to help soothe and brighten the skin. Ingredients: Water, Glycerin, Sodium Cocoyl Apple Amino Acids, Cocamidopropyl Betaine, Dipropylene glycol, Disiloxane, Methyl perfluorobutyl ether, Methyl Perfluoroisobutyl Ether, Butylene Glycol, grape fruit extract, lime fruit extract, lemon fruit extract, apple fruit extract, orange fruit extract, papaya fruit extract, blueberry fruit extract, licorice root extract, raspberry fruit extract, tomato fruit extract, Morus Alba Bark Extract, Camellia Sinensis Leaf, Portulaca Oleracea Extract, witch hazel extract, charcoal powder, water, Hydroxyethylcellulose, Sodium lauroyl glutamate, Sodium chloride, Tropolone, Caprylyl Glycol, disodium edta, Chlorphenesin, Ethylhexylglycerin, Ethyl Hexanediol, 1,2-Hexanediol, fragrance. Do not use this mask if you are sensitive to butylene glycol, or any of it's other ingredients. When I first opened the package I saw that the mask was black in color, which is my favorite because they're very soft cotton and fit so well. The essence is thick and started to bubble a bit as soon as it came into contact with the air. The essence had a light fresh scent, barely noticeable, and disappeared when it was applied to my face. The mask itself was (as predicted) soft and comfortable, and stuck to my face perfectly. 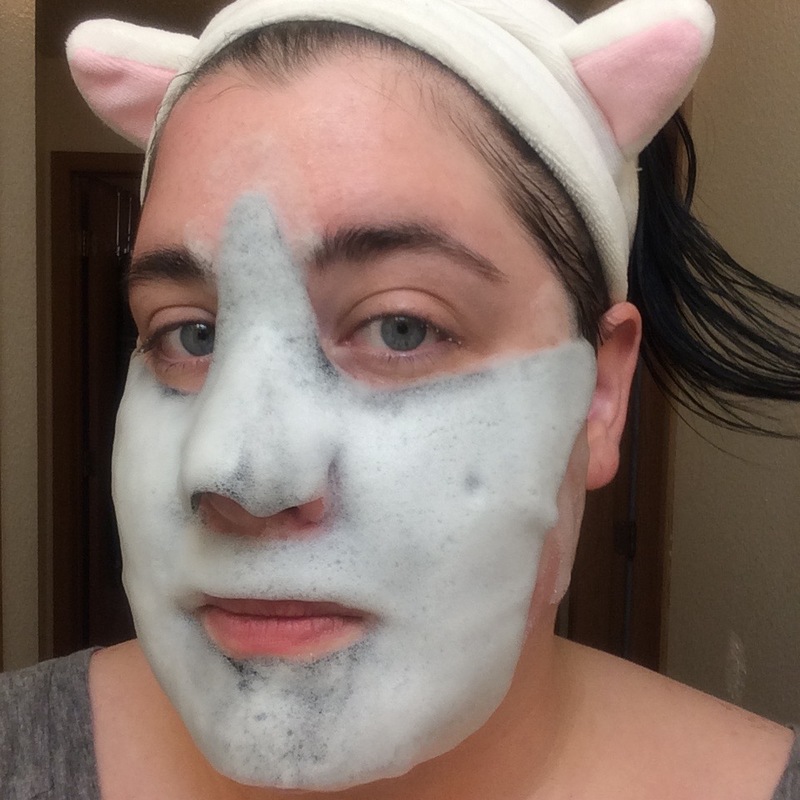 The mask is shaped a bit oddly and is just a 3/4 mask - it doesn't cover the forehead, which I find frustrating because I do get clogged pores on my forehead and would appreciate having some extra cleansing action up there. 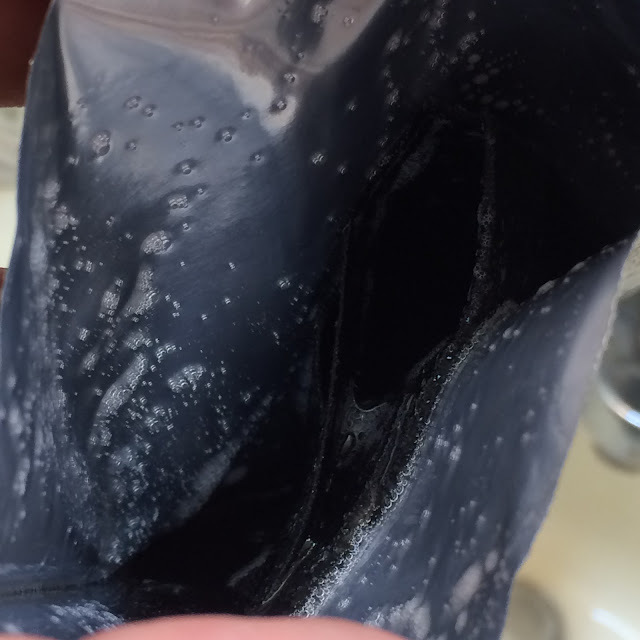 I left the mask on for 10 minutes as instructed and had a nice layer of bubbles on the mask. I removed the mask, and massaged the remaining essence all over my face. After washing everything away I noticed my pores looked much clearer and my face also looked a little but brighter. 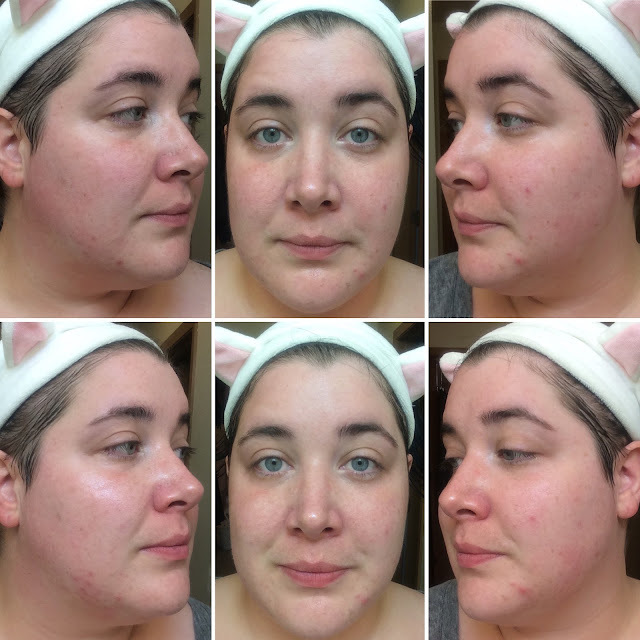 My skin felt slightly dry, but it felt fine again once I applied toner, so no complaints there. 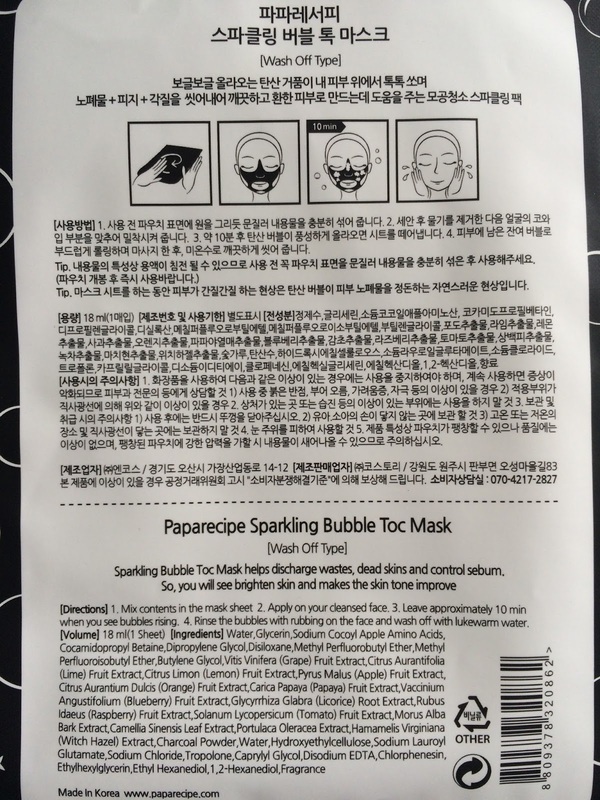 I purchased this mask from Memebox USA, (affiliate). 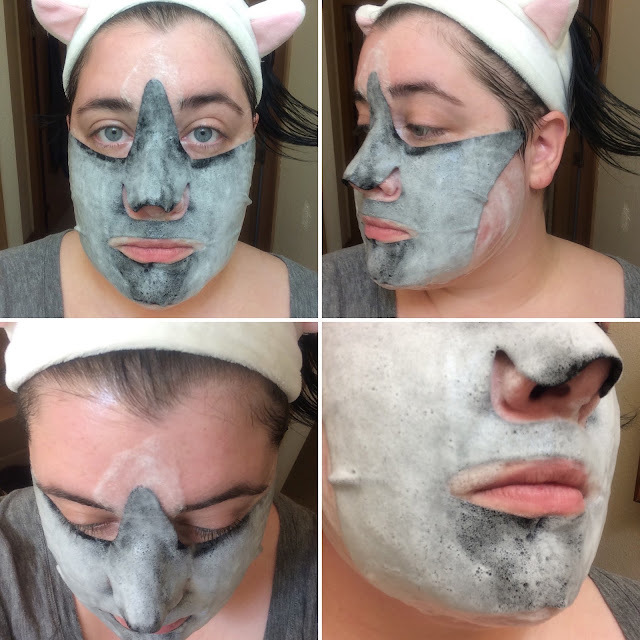 TL;DR: This is a nice gentle exfoliating mask that cleans pores and brightens the skin, but doesn't cover the entire face and may be slightly drying.